Ready to replenish after a tough workout? Skip the sugary sports drinks and opt instead for nutrient-rich bananas. A first-ever study is showing this super fruit provides equal performance power while giving you something sports drinks can’t and at a fraction of the cost: the added boost of improved blood antioxidant capacity and vitamins, minerals and fiber. 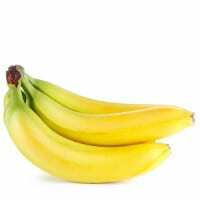 The banana benefits study was conducted in cyclists during and after exercise, and was published in PLOS ONE journal.